Many who read my weekly blog posts have not heard me give a dharma talk, but here’s an opportunity to do so, thanks to Marin Sangha, where I recently gave this talk. I’ve been invited to be a regular guest teacher for this group. 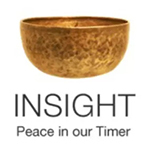 Marin Sangha and San Rafael Meditation Group (where I’ve been guest teaching for several years now), are the largest insight meditation groups in Marin outside of Spirit Rock Meditation Center. I am honored to be included on both their rosters of guest teachers. This talk was given on Father’s Day and starts by thanking all fathers present, and then looks at our relationships or lack of relationships with our fathers. But it extends well beyond that into relationships in general. I can’t imagine anyone who will not relate to this talk in some way. I offer this recorded talk in lieu of a written dharma post this week, and I hope you will listen and hopefully comment. I appreciate your feedback. It was very well received by Marin Sangha (thus the invitation to be a regular!) and I hope you find it valuable too. This entry was posted in meditation, recorded talk, Relationship and tagged Father's Day, Marin Sangha, recorded dharma talk, Relationship on August 17, 2018 by Stephanie Noble.